During the festival which takes place between July 3 and 30 selected works of Aristophanes, Aeschylus and Sophocles will be performed at the ancient Odeon of Pafos, the Kourion ancient theatre and the Makarios the 3rd amphitheatre in Nicosia by five different production teams from Cyprus, Germany, Belgium and Greece. 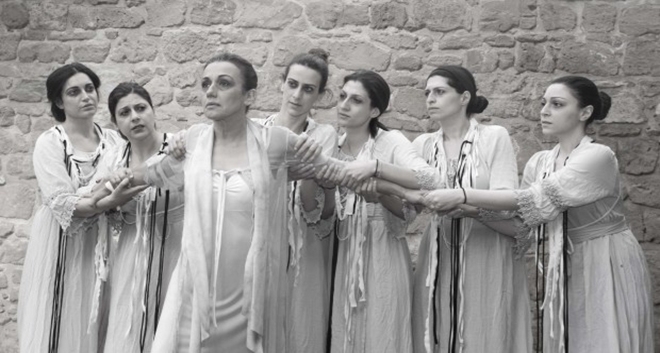 According to the Cyprus News Agency, the 20th festival kicks off on Sunday at the ancient Odeon of Pafos with the Limassol Theatre Development Company (ETHAL) and a modern adaptation of Aristophanes` comedy “Women at the Thesmophoria” (Thesmophoriazousai), directed by Minas Tigkilis and translated by Kostis Kolotas. The next two performances are the two first two tragedies of the trilogy Oresteia of Aeschylus, “Agamenon” and “Choephoroi” (Libation Bearers) by the Krefeld und Mönchengladbach theatre company of North Rhine-Westphalia. The trilogy tells the story of the house of Atreus. The plays are directed by Matthias Gehrt and translated by Peter Stein. The festival continues with the performance of Aristophanes` comedy “Ploutos” (Wealth) by the newly formed Cypriot theatre production team “Ftohologia”, directed by Costas Silvestros and the production Oresteia based on the entire trilogy (including the third play Eumenides) by the Belgian theatre group de Roovers. It concludes with the tragedy Antigone by Sophocles, directed by Themis Moumoulides and translated by Panayiota Panatzis. The festival is organised by the Ministry of Education and Culture, the Cyprus Centre of the International Theatre Institute and the Cyprus Tourism Organisation. All the plays performed at the international festival of ancient Greek drama 2016 are part of the official events programme of the Cultural Capital of Europe - Pafos 2017.